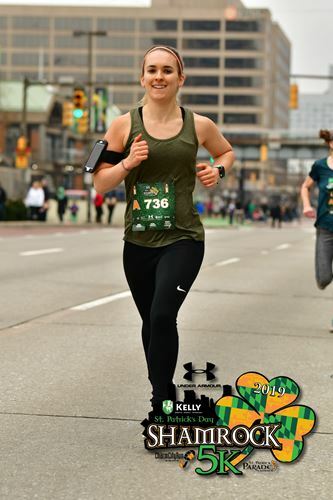 Callie grew up as a competitive swimmer from elementary school through high school and part of college and gradually moved over to running to stay active. She has gotten more into running over the past few years from running with her sisters and enjoys the racing community. Her short term goals are to finally take the leap and run her first marathon and also to improve her times and qualify for the Elite racing team. Callie’s long term running goals are to become smarter at racing/training and to possibly get involved with coaching or other Striders training programs.